It’s no secret the restaurant industry is highly populated by teenagers. 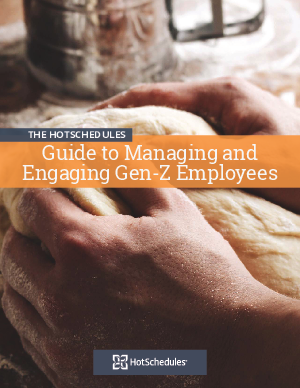 So what are the best tactics to engage your Gen Z employees while keeping your restaurant compliant with today’s labor laws? Research has found Gen Z to be very different than their older millennial brothers and sisters, meaning operators need to find a whole new approach to engage them. In this guide we’ll highlight the engagement and compliance challenges restaurants face with this group of workers. And then we’ll walk you through best practices we’ve seen work using mobile scheduling apps and digital communication tools.